The Chicago Fire Academy is in its last weeks of preparation before traveling November 28th to December 2nd to compete in USSDA (U.S Soccer Development Academy) showcase in Lakewood Ranch, Florida. 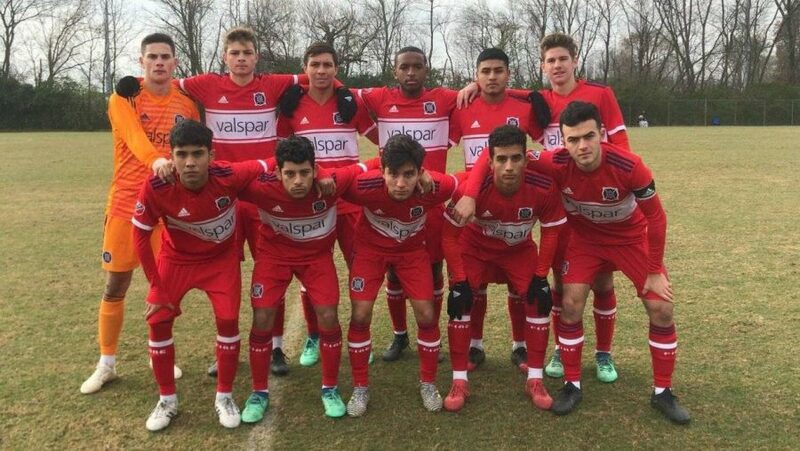 The Chicago Fire Academy (a soccer club that originated in Chicago) competes in the Mid-American division and holds a current record of 5 wins, 4 losses, and 1 draw this fall season to conclude its conference play. Although they aren’t finished yet, they are in their last 2 weeks of training before heading on to compete for another 3 games in Florida. They are aiming to win all 3 games to be in better position to qualify for USSDA playoffs that are later hosted June 22-26 in Oceanside, California. Nevertheless, the showcase in Florida will be a great experience to compete against other academies around the U.S and Canada that are not in the Mid-American division. “We have really been preparing physically and mentally all season long, and we are very confident in the team and with the outcomes we can obtain.” Senior midfielder Andres Moreno said. Positive energy is very crucial in preparations like this scenario, they help build team confidence and result in a less tense feeling when going on to compete in an event where more than 100 academies around the U.S and Canada will be present. “We know what needs to be done if we want to position ourselves in a good standing for playoffs, it certainly isn’t easy, but we know we can get the results we need.” Goalkeeper Isaac Carvajal said. The Chicago Fire have been having their ups and downs this season, but they haven’t simply let one off game decide their potential willingness to be Championship contenders for the USSDA championship title. “We have set short- and long-term goals as a team so the players are conscious of what they need to hold themselves accountable when going into every single game. We take responsibility and correct any mistakes necessary to execute the small details in every single moment of the game.” Head coach Jeff de Groot said. The Chicago Fire Academy certainly has expectations to meet and goals to achieve. It is no question that they are ambitious to succeed, and it certainly it noticeable that they are competitors of the game. I like how motivated everyone is,from the kids to the coaches. Everyone is doing their part to ensure the teams success. I connect to this story because i used to play in a travel team, Cicero Mayas, and we would also have to play against challenging opponents and we would also have to work hard in order to give the other team a challenge.